By H. E. Marshall. Perhaps France’s most famous modern historical figure, Napoleon Bonaparte’s legacy still reaches over Europe today in legal codes and even many national boundaries. Master storyteller H. E. Marshall takes the reader on an enthralling account of this dynamic military genius’s career, starting with his birth in Corsica to an Italian noble family, his rapid ascent in the French military, his first campaigns in support of the ideals of the French Revolution, his ascent to the First Consulship of France, his great military victories against the Old States of Europe, and the perversion of his erstwhile revolutionary ideals with his self-proclaimed ascension to the title of Emperor. From there the story continues, revealing many hidden but fascinating details of Napoleon’s life—for example, his personal interactions with his troops which earned him the undying loyalty of millions, and of how Beethoven dedicated a symphony to him. 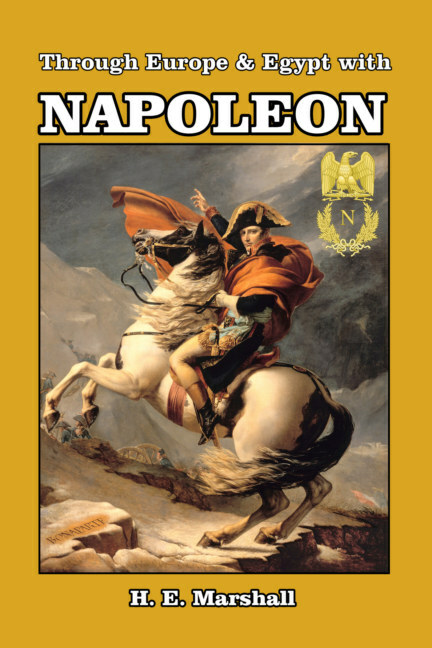 Napoleon’s astonishing list of campaigns—in Italy, Egypt, Spain, Portugal, Austria, Prussia, Poland and finally Russia—are considered in detail, and all his victories and defeats are examined in the easy-to-read and exciting style for which H.E. Marshall was famous. Finally, Napoleon’s defeat, exile to Elba, triumphant return, the “100 days” until the Battle of Waterloo, exile to St. Helena and death, mark the end of this riveting book which is guaranteed to hold the reader’s attention from the first page onwards. 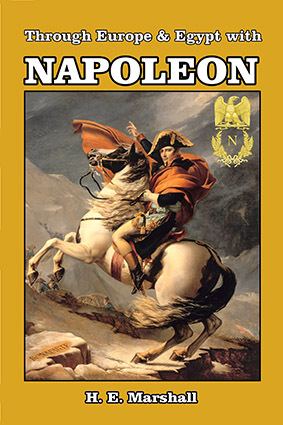 “Impossible is a word to be found only in the dictionary of fools.”—Napoleon Bonaparte.